April 2011 | LDS Women Are Incredible! Much of what we accomplish in the Church is due to the selfless service of women. Author and historian Wallace Stegner wrote about the Mormon migration and gathering to the Salt Lake Valley. 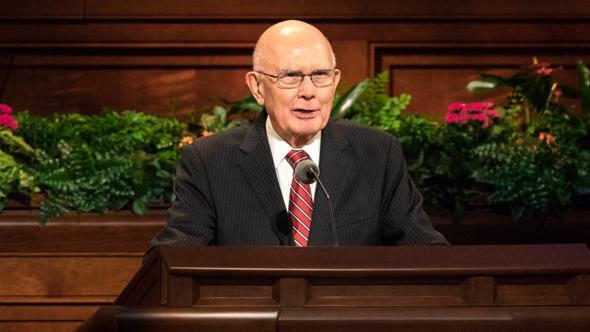 He did not accept our faith and in many ways was critical; nevertheless, he was impressed with the devotion and heroism of our early Church members, especially the women. He stated, “Their women were incredible.”1 I echo that sentiment today. Our Latter-day Saint women are incredible! God placed within women divine qualities of strength, virtue, love, and the willingness to sacrifice to raise future generations of His spirit children. We know there are many challenges for women, including those striving to live the gospel. A predominant attribute in the lives of our pioneer ancestors is the faith of the sisters. Women by divine nature have the greater gift and responsibility for home and children and nurturing there and in other settings. In light of this, the faith of the sisters in being willing to leave their homes to cross the plains for the unknown was inspiring. 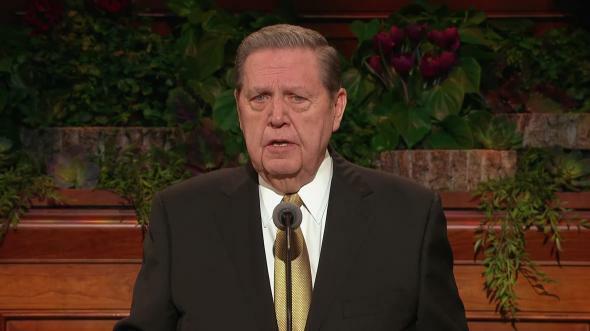 If one had to characterize their most significant attribute, it would be their unwavering faith in the restored gospel of the Lord Jesus Christ. I believe the women of the Church today meet that challenge and are every bit as strong and faithful. The priesthood leadership of this Church at all levels gratefully acknowledges the service, sacrifice, commitment, and contribution of the sisters. Much of what we accomplish in the Church is due to the selfless service of women. Whether in the Church or in the home, it is a beautiful thing to see the priesthood and the Relief Society work in perfect harmony. Such a relationship is like a well-tuned orchestra, and the resulting symphony inspires all of us. This account illustrates the commitment of our young women to Church standards.7 It is also an example of caring, interested, dedicated Young Women leaders all over the world. They are incredible! We pointed out that the most important organization on earth is the family, where “fathers and mothers are … equal partners.”8 Neither one is financially compensated, but the blessings are beyond description. We of course told her about the Relief Society, Young Women, and Primary organizations that are guided by women presidents. 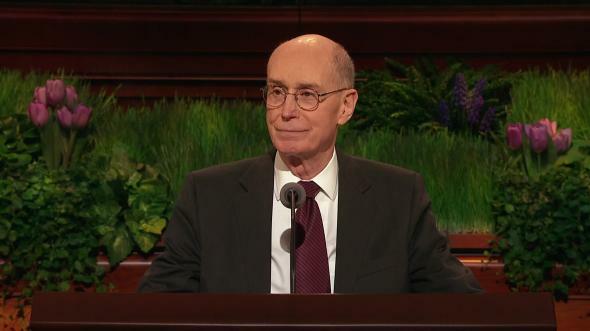 We noted that from our earliest history both men and women pray, perform the music, give the sermons, and sing in the choir, even in sacrament meeting, our most sacred meeting. 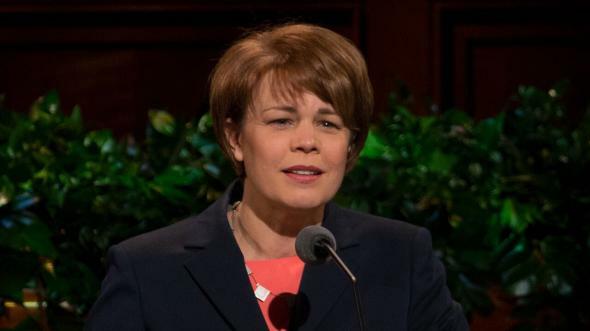 One Relief Society president who acknowledged this extraordinary service said, “Even when the sisters serve, they are thinking, ‘If only I could have done more!’” Though they are not perfect and all face individual struggles, their faith in a loving Father in Heaven and the assurance of the atoning sacrifice of the Savior permeates their lives. 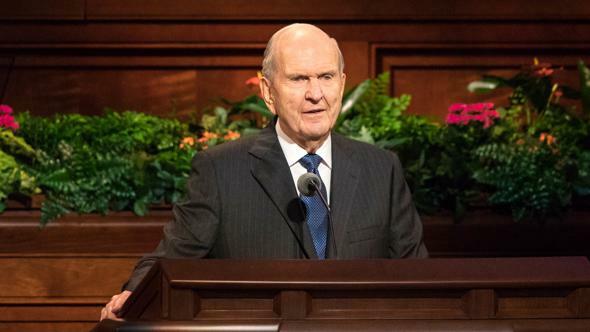 During the last three years, the First Presidency and the Quorum of the Twelve have sought guidance, inspiration, and revelation as we have counseled with priesthood and auxiliary leaders and worked on the new Church handbooks. In this process I have experienced feelings of overwhelming appreciation for the essential role that sisters, both married and single, have historically played and now play both in the family and in the Church. Specifically, it is intended in the new handbooks that bishops, sensitive to existing demands, will delegate more responsibilities. Members need to recognize that the bishop has been instructed to delegate. Members need to sustain and support him as he follows this counsel. This will allow the bishop to spend more time with the youth, young single adults, and his own family. He will delegate other important responsibilities to priesthood leaders, presidents of auxiliaries, and individual men and women. In the Church the role of women in the home is highly respected.16 When the mother receives a Church calling that requires significant time, the father will often be given a less-demanding calling in order to maintain balance in the lives of the family. Several years ago I attended a stake conference in Tonga. Sunday morning the three front rows of the chapel were filled with men between 26 and 35 years of age. I assumed they were a men’s choir. But when the business of the conference was conducted, each of these men, 63 in total, stood up as their names were read and were sustained for ordination to the Melchizedek Priesthood. I was both pleased and stunned. After the session I asked President Mateaki, the stake president, how this miracle had been accomplished. 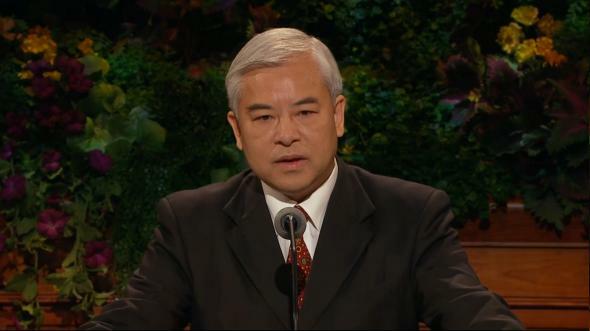 He told me that in a stake council meeting reactivation was being discussed. 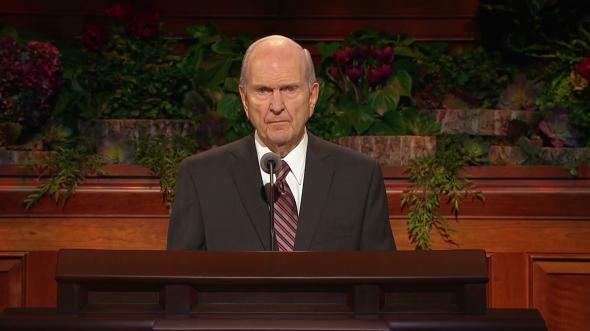 His stake Relief Society president, Sister Leinata Va’enuku, asked if it would be appropriate for her to say something. As she spoke, the Spirit confirmed to the president that what she was suggesting was true. 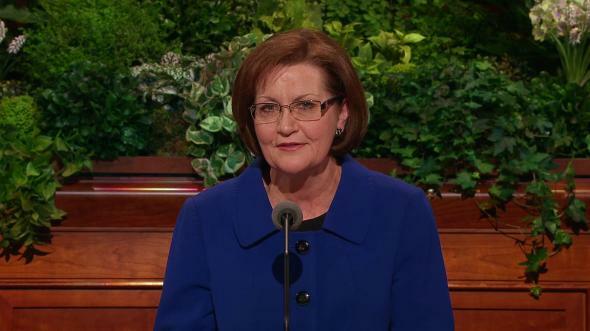 She explained that there were large numbers of wonderful young men in their late 20s and 30s in their stake who had not served missions. She said many of them knew they had disappointed bishops and priesthood leaders who had strongly encouraged them to serve a mission, and they now felt like second-class members of the Church. She pointed out that these young men were beyond missionary age. She expressed her love and concern for them. 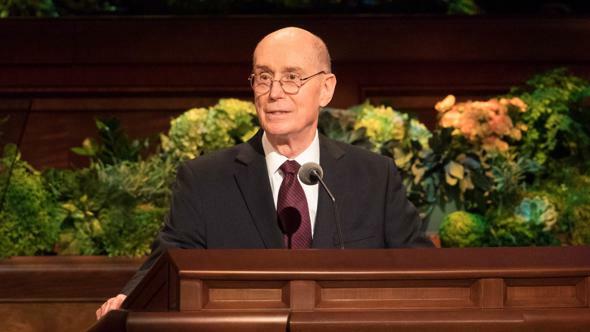 She explained that all of the saving ordinances were still available to them and the focus should be on priesthood ordinations and the ordinances of the temple. She noted that while some of these young men were still single, the majority of them had married wonderful women—some active, some inactive, and some not members. We recognize that there are enormous forces arrayed against women and families. Recent studies find there is deterioration in devotion to marriage, with a decrease in the number of adults being married.18 For some, marriage and family are becoming “a menu choice rather than the central organizing principle of our society.”19 Women are confronted with many options and need to prayerfully consider the choices they make and how those choices affect the family. These are very emotional, personal decisions, but there are two principles that we should always keep in mind. First, no woman should ever feel the need to apologize or feel that her contribution is less significant because she is devoting her primary efforts to raising and nurturing children. Nothing could be more significant in our Father in Heaven’s plan. Second, we should all be careful not to be judgmental or assume that sisters are less valiant if the decision is made to work outside the home. We rarely understand or fully appreciate people’s circumstances. Husbands and wives should prayerfully counsel together, understanding they are accountable to God for their decisions. You devoted sisters who are single parents for whatever reason, our hearts reach out to you with appreciation. 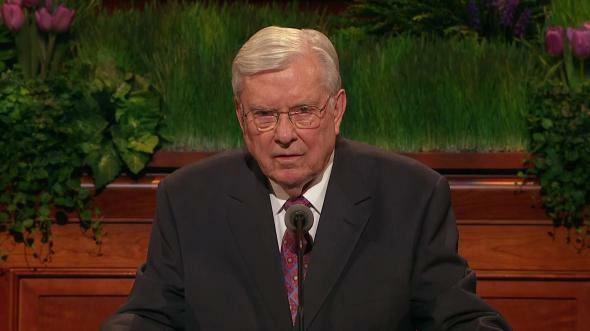 Prophets have made it clear “that many hands stand ready to help you. The Lord is not unmindful of you. 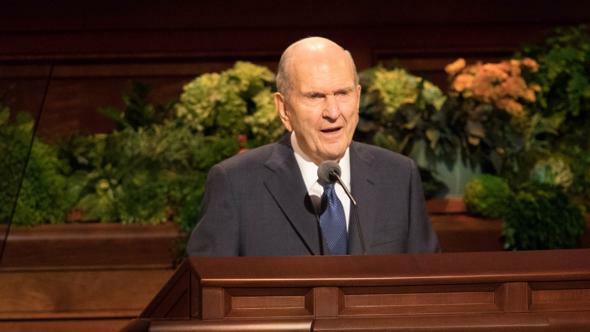 Neither is His Church.”21 I would hope that Latter-day Saints would be at the forefront in creating an environment in the workplace that is more receptive and accommodating to both women and men in their responsibilities as parents. You valiant and faithful single sisters, please know that we love and appreciate you, and we assure you that no eternal blessing will be withheld from you. Dear sisters, we love and admire you. We appreciate your service in the Lord’s kingdom. You are incredible! I express particular appreciation for the women in my life. 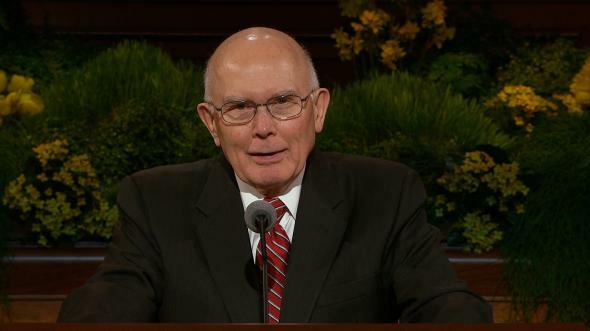 I testify of the reality of the Atonement, the divinity of the Savior, and the Restoration of His Church, in the name of Jesus Christ, amen. Wallace Stegner, The Gathering of Zion: The Story of the Mormon Trail (1971), 13. Robert D. Putnam and David E. Campbell, American Grace: How Religion Divides and Unites Us (2010), 233. See Handbook 2: Administering the Church (2010), 1.3.1; see also Moses 5:1, 4, 12, 27. In Andrew D. Olsen, The Price We Paid: The Extraordinary Story of the Willie and Martin Handcart Pioneers (2006), 445. See “Leaves from the Life of Elizabeth Horrocks Jackson Kingsford,” Utah State Historical Society, Manuscript A 719; in “Remembering the Rescue,” Ensign, Aug. 1997, 47. 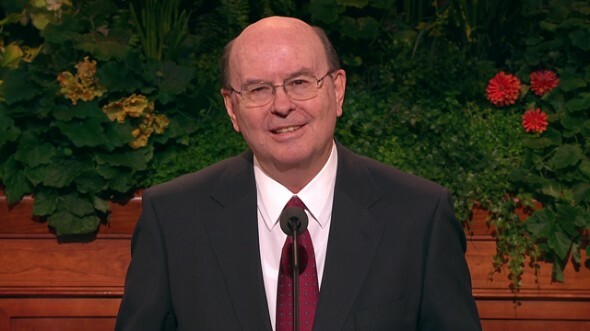 Combined and shortened from an e-mail written by Monica Sedgwick, stake Young Women president of the Laguna Niguel California Stake, and a talk given by Leslie Mortensen, stake Young Women president of the Mission Viejo California Stake. In an article titled “Why Do We Let Them Dress Like That?” (Wall Street Journal, Mar. 19–20, 2011, C3), a thoughtful Jewish mother advocates for dress standards and modesty and acknowledges the example of Mormon women. See Putnam and Campbell, American Grace, 244–45. See Putnam and Campbell, American Grace, 504. Doctrine and Covenants 81:5; see also Mosiah 4:26. Handbook 2: Administering the Church (2010), page 22. See Emily Matchar, “Why I Can’t Stop Reading Mormon Housewife Blogs,” salon.com/life/feature/2011/01/15/feminist_obsessed_with_mormon_blogs. This self-described feminist and atheist acknowledges this respect and says she is addicted to reading Mormon housewife blogs. From conversations with Nuku’alofa Tonga Ha’akame Stake president Lehonitai Mateaki (who subsequently served as president of the Papua New Guinea Port Moresby Mission) and stake Relief Society president Leinata Va’enuku. See D’Vera Cohn and Richard Fry, “Women, Men, and the New Economics of Marriage,” Pew Research Center, Social and Demographic Trends, pewsocialtrends.org. The number of children being born has also decreased significantly in many countries. This has been called the demographic winter. “A Troubling Marriage Trend,” Deseret News, Nov. 22, 2010, A14, quoting a report on msnbc.com. See Simon Collins, “Put Family before Moneymaking Is Message from Festival,” New Zealand Herald, Feb. 1, 2010, A2. Gordon B. Hinckley, “Women of the Church,” Ensign, Nov. 1996, 69; see also Spencer W. Kimball, “Our Sisters in the Church,” Ensign, Nov. 1979, 48–49. “As Sisters in Zion,” Hymns, no. 309. Karen Lynn Davidson, Our Latter-Day Hymns: The Stories and the Messages, rev. ed. (2009), 338–39.